Pete Petro, who received his Bachelor of Science in Business Administration degree from Samford University on May 12, continues to be an inspiration to all who know him. 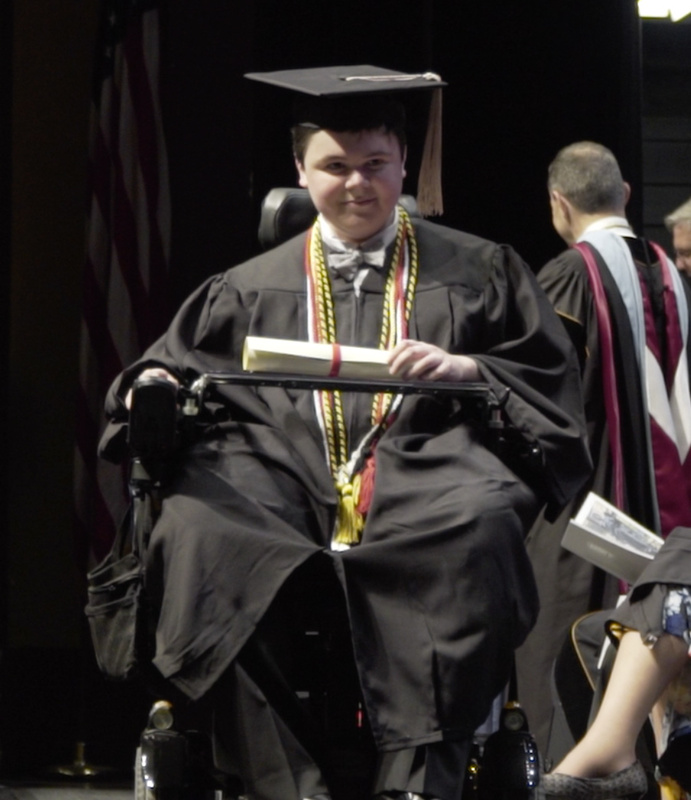 Petro has suffered from Duchenne muscular dystrophy since age 5, but that didn’t stop him from completing his Samford degree and graduating with honors. Birmingham’s Over the Mountain Journal recently featured Petro in an inspiring story by reporter Emily Williams.